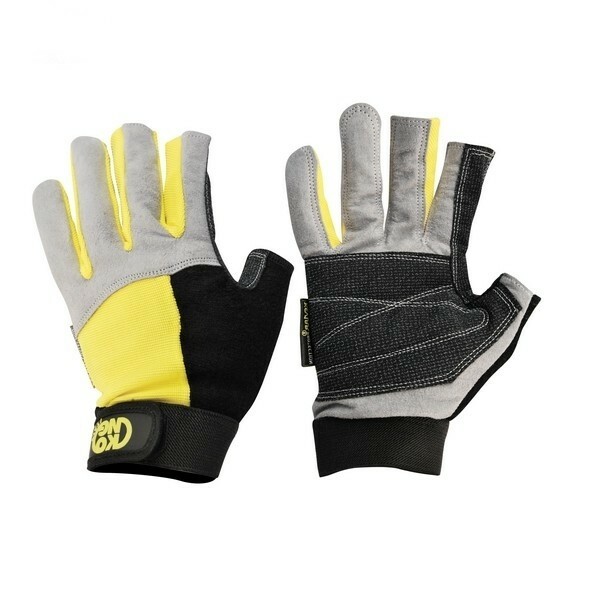 These are a good pair of gloves for rappelling in wet or dry situations. They have a Kevlar palm to last longer and to keep the heat from a rapid descent from reaching your skin. They have only 3/4s of the index and middle fingers as well as the thumb. This makes it easy to tie a water knot or lock off on an “edge -of-the-world” anchor without taking off your gloves and dropping them 300 feet. Cons: They run a bit small and like every other fabric – do not hold up well in sandstone slot canyons. Stitching pulls apart.